Pros: 1) It blocks heat. TSER is more important parameter than blocking IR since blocking IR doesn’t mean higher TSER. 2) Film is thick. It is 2.5mil or 60um thickness. It didn’t feel cheap. 2.5mil is the same thickness with 3M crystalline film. 3) The precut was clean. Cons: 1) It’s prone to scratches. 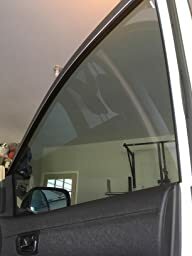 I could see some scratches after the installation. 2) No information about the manufacturing facility. 3) Adhesive didn’t feel tacky enough. I don’t know the quality of the glue of this film yet but I concern. 4) Film didn’t shrink well. 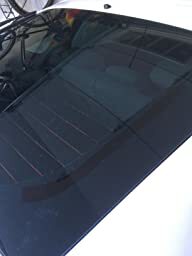 Shrinking rear windshield film failed because of several creases. I guess it’s because of the thickness and my skill level. After removing it, I purchased other ceramic film from other seller. It, however, shrunk well with zero defect. Film got hazed a little under direct sunlight. It’s fine under shade. I believe it’s a characteristics of ceramic films. 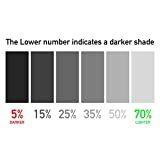 So, we have to live with it or choose either carbon or dyed tint film. 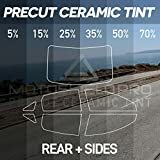 It’s fine on side/rear windows but if it’s for front windshield, I recommend to choose carbon tint film. MotoShield brand looks like a house brand with films made in somewhere nobody knows. It’s not the best but it’s not terrible because it’s not easy to buy genuine 3M or Llumar film online. 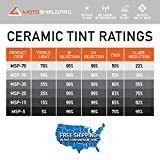 Most of 3M or Llumar film on ebay or amazon are fake. Their genuine films have printed logos on the film surface even though counterfeit films from China even copy the logos. No logo means 100% fake. Logos but bought on ebay or amazon means “almost” fake. This film is 3 star film, or 4 stars considering it’s not easy to buy name brand’s genuine films online. Edit) I have to remove the film on front driverside window. I’ve done tinting many times but this is the first time. There are two fingers, several tiny bubbles at the side. It wasn’t there but it’s shown after several weeks later. Because of the defects, it’s 2 stars now. Based on my experience with the product, inadequate and incomplete installation documentation posted on their web site and state of the material I would NOT recommend this product. 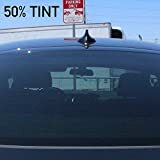 If you look at the company link and the video, you will see that it only shows a brief installation coverage on the side window and nothing about the large back window or windshield. The directions indicate that you need to take the bubbles out before separating the film which I did when installing smaller pieces. 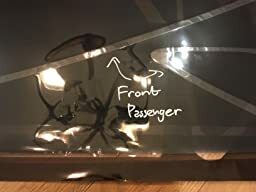 However for the large rear window there are no instructions so you would just follow the same instructions as the side windows or better if they had more about the larger windows! 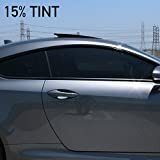 So far this tint seems like good quality. We will see how it holds up over time. I will update this review if I see any signs of discoloration. I will say, having this installed has definitely decreased the heat in my car. I noticed that the first day!! The package arrived quickly. It was easy to send them information about my vehicle through amazon. When it arrived I was very happy to see that they labeled each of the windows. This took the guess work out of it. The install was much harder than I thought. Iâm not a pro, this was the first time installing. After my second window I got much better, but the first two windows didnât turn out so well. 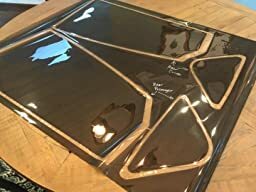 Contacted the company and they gave me a discount on ordering two more cut outs for the windows I messed up. Overall Iâm happy with the product thus far. 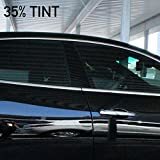 Didnât want to spend $400 on ceramic tint at the local shop (they install) so this was a much cheaper option as I spend about $100; 1/4 of the cost but I supplied the labor. Total time for the install was about 4-5 hours. 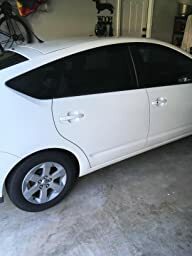 Keep in mind this was my first time ever installing tint so it took me longer. When reinstalling the two windows I messed up, that install went much faster.